Aquatic Gardeners Assocation Call for Entries in the July/August Issue of AMAZONAS. Click to visit the AGA. 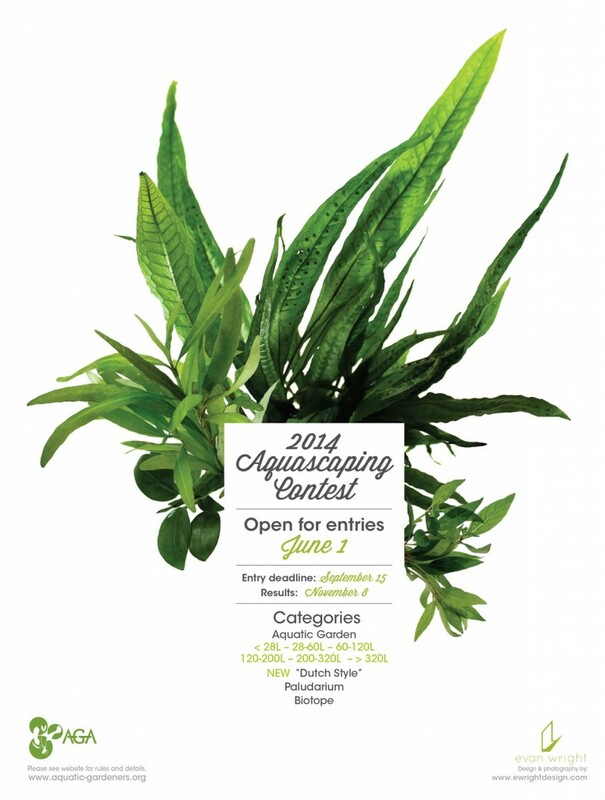 The 2014 AGA International Aquascaping Contest is OPEN for Entries! As usual, entering, judging, and viewing the contest is accomplished entirely online. Visit the AGA Contest Site to register and enter. The rules can be found on the contest web site above, and also on AquariaSpot.com’s AGA NewsFlash page, where a translation engine is available. You have until September 15 to enter the contest. You do not have to be an AGA Member to enter.